Much like searching for shells along the seafront, drifting through Sea Chest's wonderful range of Emma Ball products is an exploration into seaside memories and escapism. Celebrating beautiful coastal vistas and quaint harbourside towns, we've picked out a selection of our favourite Emma Ball gifts to add a splash of ocean colour to your home! 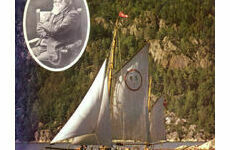 A great piece of mooring for all your important keys! 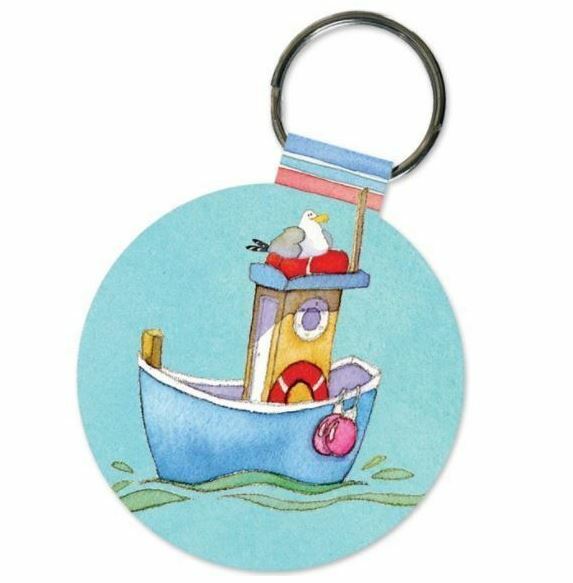 Featuring a bright and colourful watercolour illustration of a boat floating in the water, keep a little piece of the seaside with you wherever you go with this handy keyring. 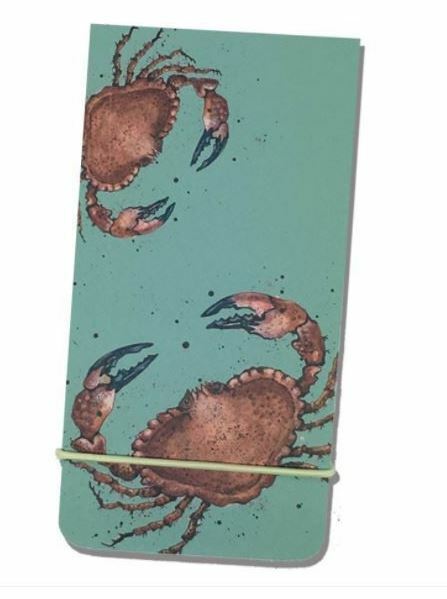 Give your stationery a bit of a makeover with this crab themed pocket paperback notebook. Perfect for taking anywhere with you, it features a handy elasticated closure and plenty of room for making notes, shopping lists and anything else you need to remember. 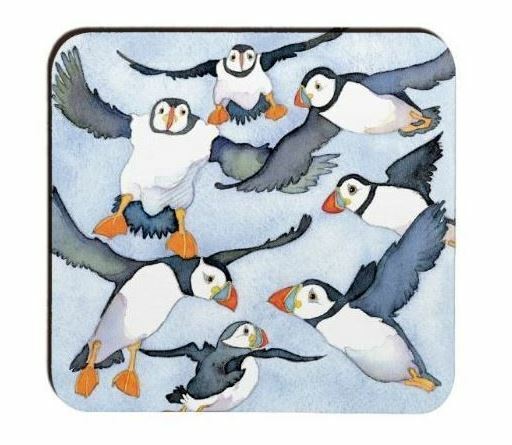 The only thing better than one puffin is a whole flock of them! This gorgeous Emma Ball printed coaster set is bursting with colour and movement - bringing to life any coffee table you place them on! 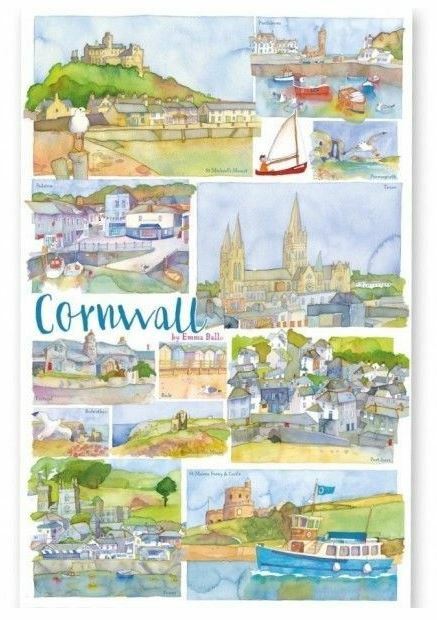 Remember all your Cornish seaside memories with this gorgeous tea towel that will take pride of place wherever you hang it! Filled with a plethora of colourful coastal designs, these idyllic watercolour scenes will remind you of all your happy childhood holidays by the sea. With 6 designs to choose from, these small fridge magnets feature a unique and thoughtfully designed scene that will whisk you away to a seaside town. 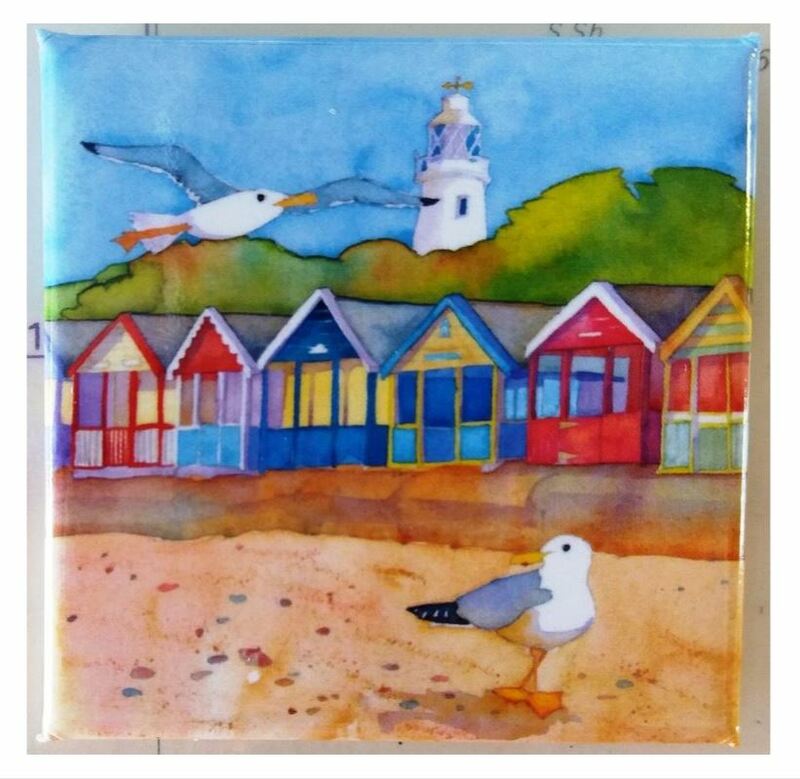 From beach huts to seagulls, add some life and colour to your kitchen - and while you're at it, why not complete the look and collect them all! 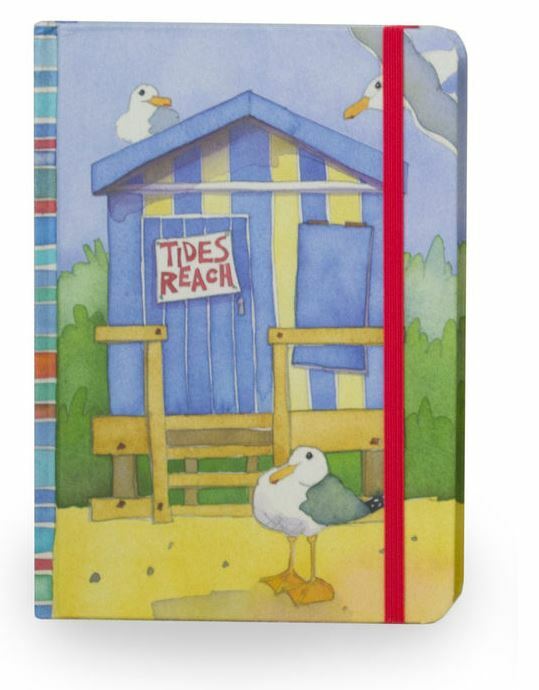 When you're on-the-go, nothing is more important than a great looking notebook - so make a statement with this seagull and beach hut themed choice from Emma Ball! A must-have for storing all your contacts, reminders and everyday scribbles, this is a gorgeous choice for home or work. A seaside space-saving solution for any Emma Ball fans! 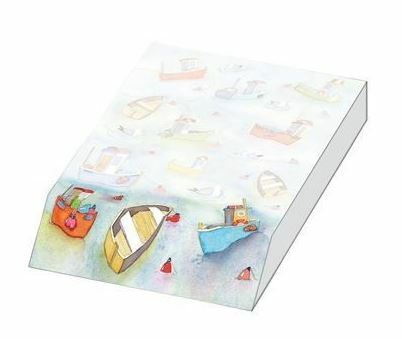 This desktop notepad is ideal for giving your work space a refreshing makeover, filled with a calming selection of boats and dinghies. 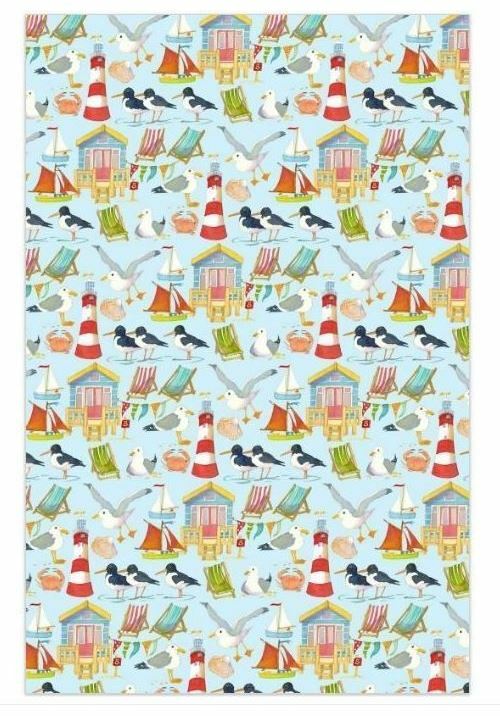 Your friends and family will love opening a gorgeous gift or two with this stunning wrapping paper, featuring all your seaside favourites from Emma Ball! 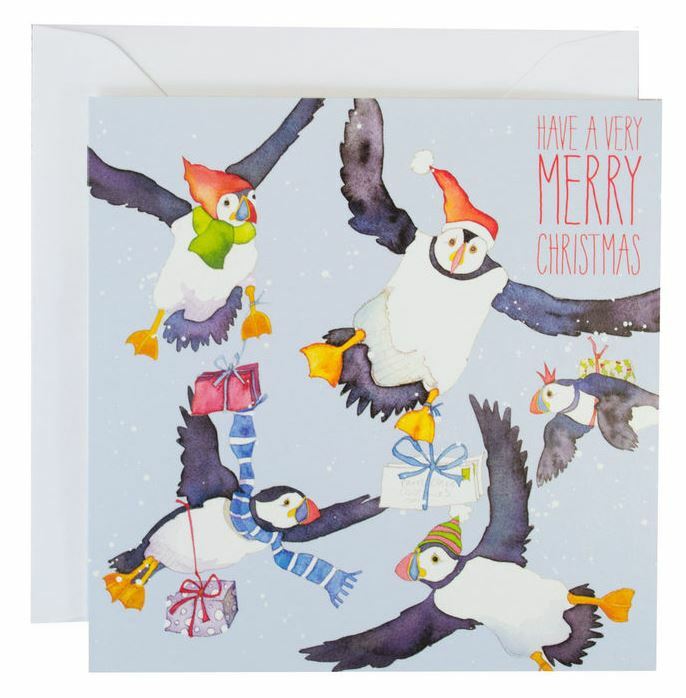 Includes matching gift tags and a design filled with deckchairs, seagulls, bunting and more. 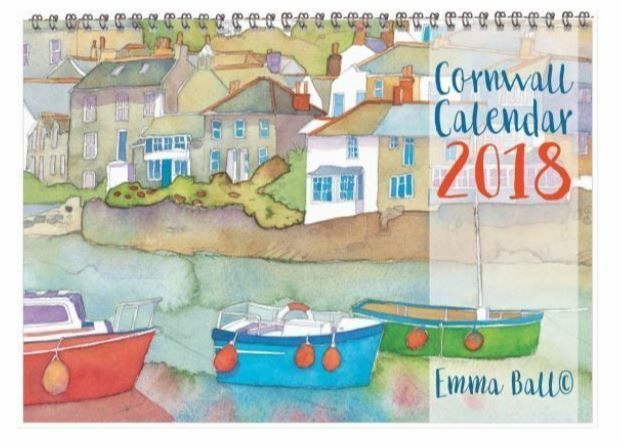 Welcome in the new year with Emma Ball's quaint and characterful watercolours - all featured in her Cornwall Calendar 2018! Count down the months with 12 strikingly detailed prints of different coastal vistas to brighten up any room in your home. Each day contains enough space for jotting down everything from notes to special occasions and more! Didn't find what you were looking for?  Take a look at our full range of Emma Ball products here. 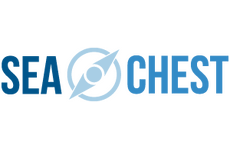 You can also keep up-to-date with future Sea Chest blogs, the latest news and new products, by liking us on Facebook or following us through Twitter: @seachestcharts.